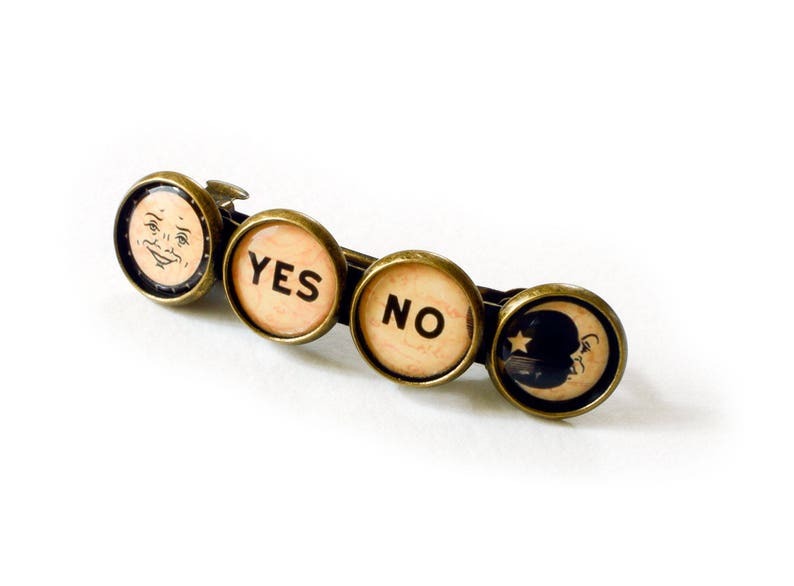 A 2" long bronze french barrette, with images of the sun and moon, YES and NO symbols from the corners of Ouija board under clear settings, in 12mm brass bezels. Super cute and exactly as described. Shipped quickly as well. Thank you!